This weekend, I’m heading out to Foxwood Resort Casino with a group of girlfriends for a day of FUN. Sure, Foxwoods is known for amazing action and gambling. It’s the largest resort casino in North America with 340,000 square feet of world class gaming space, including 4,800 slots and 256 table games; 95 poker tables; high stakes Bingo; Keno, and the Ultimate Race Book. PHEW! I’m a table girl just in case you were keeping track. Roulette is my favorite game by far! But Foxwoods offers so much more to its guests – and we are going to explore it all. Let me break down our itinerary. I mean… how can I NOT start with shopping??? You know that I’m obsessed. Foxwoods boasts some of the most sought-after retail shopping options in the Northeast and mama still has some people left on her Christmas list. 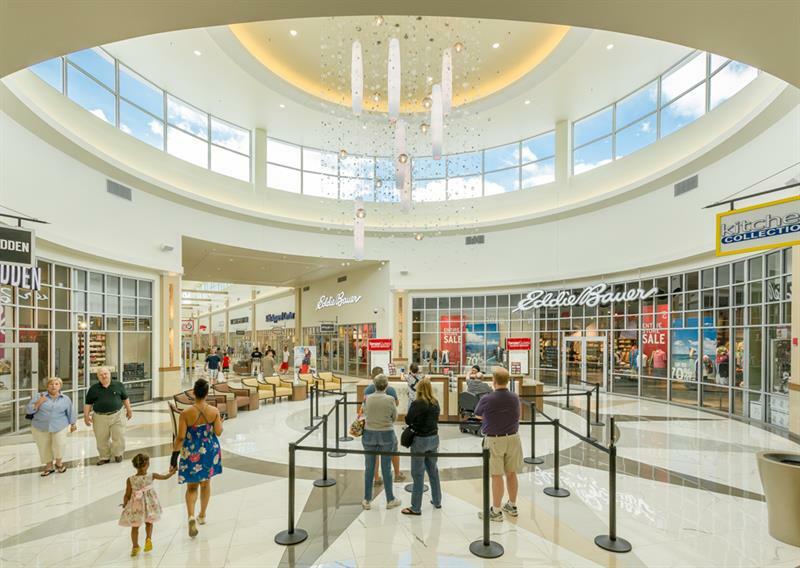 No matter your price point, Tanger Outlets has something for you. If you want everyday brands or if you are looking for more upscale luxury boutiques, you will find it all in one space. There’s over 80 stores to choose from including American Eagle Outfitters, Ann Taylor, Banana Republic, Brooks Brothers, Calvin Klein, Coach, Fossil, Gap, H&M, J. Crew, LOFT, Michael Kors, Nike, Skechers, Steve Madden, Talbots, Tommy Hilfiger, Bulgari, Chopard, Pandora, Dooney & Bourke, Michael Kors, Rolex, True Religion, Vera Bradley, Yankee Candle & many more. I haven’t gone ice skating in ages! So excited to grab some girlfriends and hit the rink! Open seven days a week, Foxwood’s outdoor rink is located behind the Fox Tower – a perfect winter family outing! The trees surrounding the rink are decorated with over 100,000 lights. After our skate, we plan on enjoying a hot chocolate while relaxing in an Adirondack chair set by one of four outdoor fireplaces that surround a fully decorated 30 foot Christmas tree. HOW FAB DOES THAT SOUND??? And of course there will be plenty of photo opps!! With oversized Christmas lights and presents, this is a great backdrop for Holiday Pictures. Rental skates are available on-site. The Winter Rink opens for the season on November 27, with a grand opening celebration taking place on December 5. Santa is taking a break from the North Pole this year and is headed for Foxwoods! 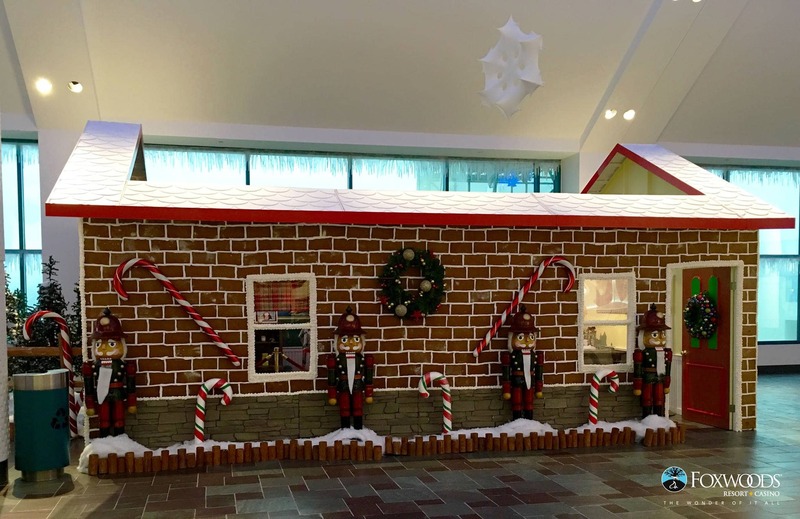 We might have time to get our photo with Santa after checking out his workshop and the deluxe Gingerbread House constructed by the Foxwoods’ culinary team. What fun! Be sure to follow my adventures this Saturday, December 12th, on social media. @VeraSweeney on Twitter, @VeraSweeney on Instagram, and @AudreyandVera on Periscope. See you soon! *I’ve teamed up with Foxwoods to help spread the word about what’s available on their property this holiday season. All opinions are my own.